Welcome to Alternative Projections: Experimental Film in Los Angeles 1945 - 1980, Los Angeles Filmforum’s exploration of the community of filmmakers, artists, curators and programmers whocontributed to the creation and presentation of experimental film and video in Southern Californiain the postwar era. 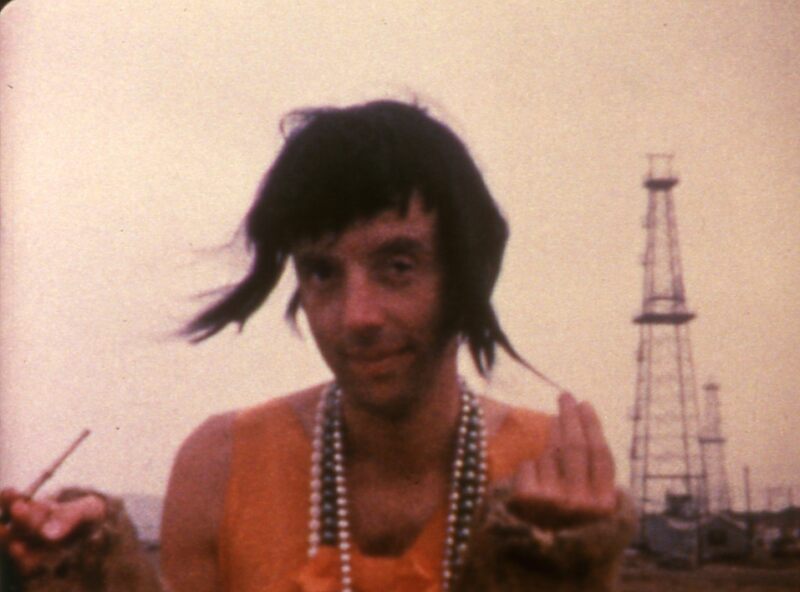 This website is the culmination of three years of research into the archives of film venues and organizations, the recording of 35 oral histories, and the creation of a database, the first of its kind, which catalogs the films, exhibitions, organization, and people active during this prolific era in experimental film and video making. In the so-called cultural leveling of the 90s and in a place like Los Angeles, it is hard to imagine an "outside" or an "excess" not already colonized and sold, nor is there a single boundary, or a unified group called “artists” with boundary-crossing as their mandate. Instead, there are smaller groups, many boundaries, varied objectives, and as many strategies. 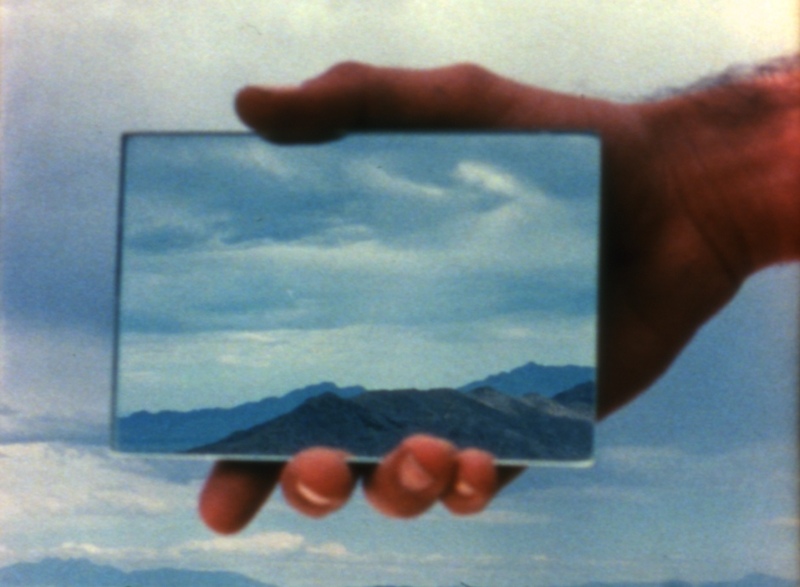 To aid in creating a more complete picture of this previously fragmented history, the goal of Alternative Projections is to expand understanding of how experimental filmmaking evolved in Los Angeles and to contextualize its place in post-war art history. Some of the key findings of our research include how the Los Angeles programming and distribution infrastructure was an integral part of the experimental film movement during this period, the dynamic collaborative between artists and curators, and how the movement was able to foster new creative voices by exposing emerging filmmakers to alternative voices and images. Alternative Projections is part of Pacific Standard Time, an unprecedented collaboration of more than sixty cultural institutions across Southern California, coming together to tell the story of the birth of the L.A. art scene. Initiated through grants from the Getty Foundation, Pacific StandardTime will take place for six months beginning October 2011. Pacific Standard Time is an initiative of the Getty. The presenting sponsor is Bank of America. The Getty Foundation is the lead funder of the Alternative Projections film screening series and web publication. Additional funders include The Andy Warhol Foundation for the Visual Arts, the National Film Preservation Foundation and The Film Foundation. Los Angeles Filmforum's Alternative Projections website is still, and likely always will be, a work in progress. The information contained herein is compiled from numerous sources, and as such, will reflect the inconsistencies and inaccuracies in those sources, whether they be primary documents, secondary assessments, firsthand testimony, or seemingly authoritative historical sources. We therefore ask that users of the site be aware that the information collected here will reflect the natural vagaries and difficulties of collating and documenting such a rich and diverse history. Given the truth's slippery nature, we solicit people's understanding - and assistance. We will be continually updating, correcting, and modifying our data as new information presents itself, and we eagerly solicit your contributions to assist us in making this resource as accurate and complete as possible. Thank you! Adam is currently Executive Director and Programmer for Los Angeles Filmforum. As Director, he has expanded collaborations with national and local arts organizations, including the Getty Center, Los Angeles County Museum of Art, the UCLA Film & Television Archive, and REDCAT, among others. Programming highlights include Shirley Clarke retrospective in 1998; a tribute to the late artist Nam June Paik, held at LACMA and co-presented with the Korean Cultural Center; screening the short documentary work of world-renowned Polish director Krzysztof Kieslowski; a retrospective series of the films of James Benning; and several programs of experimental animation. A native Angeleno, he has been a documentary filmmaker for the past ten years, producing and/or writing a variety of historical and archaeological documentaries that have aired on the PBS, the History Channel, the Learning Channel, and others. Prior to his film career, he worked as a staff editor at Houghton Mifflin Publishing Company. Stephanie Sapienza is an archivist who specializes in access for archival and historical moving images. Currently she is the Project Manager for the Corporation for Public Broadcasting's American Archive project. Before this, she was the Managing Director of the iotaCenter, an organization that promotes experimental film and abstract animation by linking historical work to contemporary. She has a master's degree in Moving Image Archive Studies. Elizabeth is a filmmaker and non-profit consultant. LADY TROJANS (2008), her first feature length film as director/producer, has screened internationally. Her short documentary film THE OJAI VALLEY (2000) screened at the Museum of Modern Art and won the Director’s Award at the 2001 Smogdance Film Festival in Los Angeles. Hesik was the U.S. Correspondent for the Cretéil International Women's Film Festival in France from 1998 to 2002, and has programmed various short and documentary shows for 911 Media Arts in Seattle. She received her MFA in Film and Video from CalArts and has been a Board member of Los Angeles Filmforum since 2008.
is an independent researcher who specializes in the intersection between cinema and the fine arts, avant-garde film and the history of Southern California. She is currently a PhD candidate in Critical Studies in the School of Cinematic Arts at the University of Southern California where she is completing a dissertation on the history of the arts and philanthropy in Pasadena, CA. Mark previously acted as Assistant Director of avant-garde distributor Canyon Cinema before starting work as a film preservationist at the Academy Film Archive in Los Angeles in 2003. He specializes in the preservation of experimental cinema, and has worked on films by Robert Nelson, Morgan Fisher, Roberta Friedman, Standish Lawder, the Whitney brothers, Pat O’Neill, Kathy Rose, Adam Beckett, Satyajit Ray, Ray Harryhausen, and many others. His largest ongoing project is the restoration of the complete film output of renowned experimental filmmaker Stan Brakhage. David teaches in the School of Cinema-Television at USC. He edited Sons and Daughters of Los: Culture and Community in Los Angeles. He is the author or editor of several books on independent American film. His most recently published is the acclaimed The Most Typical Avant-Garde: History and Geography of Minor Cinemas in Los Angeles. Terry has been involved in the artistic and cultural life of Southern California since the mid-1970s. In 1975, he founded Pasadena Filmforum (now Los Angeles Filmforum), and served as its Executive Director for nine years. In 1984, after leaving Filmforum, Cannon founded SPIRAL, a quarterly magazine which examined significant topics related to experimental film and which featured writings and artworks by the filmmakers themselves. Cannon edited and published nine issues before the magazine’s demise in 1986. He has also, since 1988, served as President of the Board of Directors of the Museum of Jurassic Technology in Culver City, California. Angeline succeeded her husband, Robert as Director of the Creative Film Society following his death in 1974. Adhering to the format of representing the independent film artist, and CFS's dedication to the promotion of film as art form, Mrs. Pike continued in this capacity for the next 25 years, adding classic avant-garde and experimental titles. Angeline co-chaired the Visual Music Alliance for ten years, melding the various art forms, uniting artists, musicians, filmmakers, video artists and technicians to share their works under the banner of visual music. In addition, she has presented retrospectives of CFS titles at Filmforum, Beyond Baroque and CalArts. Angeline remains active as a consultant to authors and scholars researching the avant-garde film movement. Amy has been making abstract films since the early 70s, notably the feature-length FALLING LESSONS (1992). As a cinematographer and lighting designer, Halpern has worked on dramatic and documentary feature films for such directors as Julie Dash, Charles Burnett and Pat O’Neill. 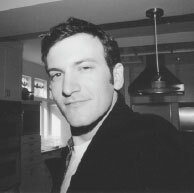 Halpern has taught filmmaking at various Los Angeles universities, 7 years in the Screenwriting and Production Divisions of the U.S.C. Film School, as well as U.C.L.A., Otis-Parsons Art Institute, California State Northridge and California State Los Angeles. She has been a founding member & programmer of experimental film screening cooperatives on both coasts: The Collective for Living Cinema in New York City and the Los Angeles Independent Film Oasis. Russell is the Chair of the Department of Art at the University of California, Los Angeles. He has also served as Deputy Director for Exhibitions and Programs, and Chief Curator, at the Hammer Museum, Los Angeles, and he remains an adjunct curator at the Hammer. From 1991 to 2001, he was at the Museum of Contemporary Art, Los Angeles, first as Editor, then as Associate Curator. While there, he edited Art and Film since 1945: Hall of Mirrors. Ferguson is also the editor of two collections of critical writing: Discourses: Conversations in Postmodern Art and Culture, and Out There: Marginalization and Contemporary Cultures, both published by the MIT Press. George is an Associate Professor of Art History at UCLA, where he teaches modern and contemporary art and theory as well as the history of photography. A regular critic for Artforum magazine throughout the 1990s, he has been an editor of October magazine and October Books since 2001. Previous to this, he taught at SUNY Purchase and directed their graduate art history program in Modern and Contemporary Art, Criticism, and Theory. He is the author, most recently, of The Artwork Caught by the Tail: Francis Picabia and Dada in Paris (MIT Press, 2007), and several other books including James Coleman: Drei Filmarbeiten (Sprengel Museum, 2002), and Gerard Byrne: Books, Magazines, and Newspapers (Lukas & Sternberg, 2003). Marcy is a media artist and experimental filmmaker concerned with marginal histories, the landscape, counterculture, and expanded notions of non-fiction. Her films and videos have screened at festivals and venues including Ann Arbor, Antimatter, Chicago Underground, Other Cinema, Anthology Film Archives, Echo Park Film Center and the European Media Art Festival. She recently moved to Los Angeles after completing an MFA from the Department of Art and Art History at the University of Colorado at Boulder. Andrew completed his MA in Cinema and Media Studies in 2010 at UCLA, where he programmed over fifty screenings of contemporary independent and international cinema while serving as Director of UCLA's Melnitz Movies screening series. He also co-curates the Festival of (In)appropriation and serves as both a Board member and Volunteer Coordinator for Los Angeles Filmforum. Hailing from Southwest Ohio, Benjamin Miller attended the University of Southern California where he studied experimental film under Professor David James and ultimately received his BA in Cinema-Television Critical Studies. He has worked for the iotaCenter, Los Angeles Filmforum, and was the Cinematheque108 Alternative Screening Series events coordinator for several years while attending USC. Jeremy holds a BA in Film and Digital Media from UC Santa Cruz and an MFA in Experimental Animation from CalArts. Jeremy has extensive experience with all things computer-related, especially digital video, animation and web programming. He sometimes lectures about animation history, and is a founding member of the international art organization "The League of Imaginary Scientists." Amy Jo completed her MA in Moving Image Archive Studies at UCLA in 2010 after earning a BA in Cinema and Visual Studies at the New School. She has worked at Parsons, the Library of Congress, UCLA Film and Television Archive, CalArts Library, and Anthology Film Archives. Her research for Alternative Projections focused on The Creative Film Society. Sandra is an artist and archivist who for this project conducted archival research at Film Maker's Coop in New York City to locate and identify all rentals from organizations in the greater Los Angeles area. Jesse is a documentary film and video maker based in Los Angeles. His short films and feature-length documentaries have screened at the Museum of Modern Art in New York, the National Anthropology Museum in Mexico City, the Reina Sofía Museum in Madrid, the Sydney Biennale, the Sundance Film Festival, Guggenheim Museums in New York and Bilbao, the Los Angeles International Film Festival, the Film Society of Lincoln Center, and other festivals and museums internationally. He conducted research on Asco for Alternative Projections. Peter is an AudioVisual Archivist and Consultant who specializes in access driven preservation solutions for various artists and organizations. He has worked with artists such as Sonic Youth and Fugazi and is currently working as the Assistant Media Conservator for the Museum of Modern Art with a focus on video preservation. His research for Alternative Projections focused on the Los Angeles Independent Film Oasis collection currently housed at the Smithsonian Archives of American Art. Alice is a PhD student in Cinema & Media Studies at UCLA. She holds an MA in Moving Image Archive Studies from UCLA and a BA in Film Studies and Sociology from Vassar College. She screens films for Outfest, the Los Angeles Film Festival and AFI FEST, and has previously worked with organizations such as Anthology Film Archives, The New York Film / Video Council, The Pacific Film Archive Library and The Robert Flaherty Film Seminar. Her work for Alternative Projections focused on The Creative Film Society. Pauline works as the Digital Media and Copyright Strategist at the UCLA Film & Television Archive and is a Ph.D. candidate in Film and Media Studies at UC Santa Barbara, where her research interests are media history, technology, copyright regulations, and moving image archives. She is currently writing her dissertation about how emerging forms of media technology have developed in relation to copyright law. For Alternative Projections, she researched the film production history of Visual Communications.